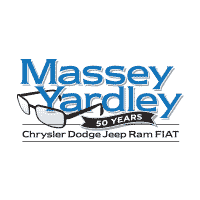 If you’re shopping for the right used vehicle to drive for the next few years, Massey Yardley Chrysler Dodge Jeep Ram Fiat in Plantation, FL makes it easy for you to make the right choice. With affordable pricing that’s offered with financing that makes sense for you, you’ll find exactly what you’re looking for. Come in and see the friendly staff of this Jeep dealer today to take a look at the pricing offered for the used models offered to give you the driving enjoyment you want on the roads around Oakland Park, FL. 2016 Jeep Patriot Sport – Affordable, functional, and capable are three different things you’ll find in this used Jeep SUV that can quickly become the one you’ll want to enjoy on the road. Come in and take a look at the pricing of this model and let it be the right choice for you on a daily basis in Oakland Park, FL. 2015 Dodge Journey SXT – Here is an SUV that shows up at this Jeep dealer with affordable pricing and an impressive amount of versatile capability. You can take seven people wherever you need to go and have a cabin that can be transformed into a massive cargo bay for the gear you need to take with you. Take a test drive and then take this SUV home to Oakland Park, FL. 2016 Dodge Grand Caravan R/T – Here is a minivan that allows you to have the quality driving you want and the room for the entire family to get out on the road and drive together. This comfortable vehicle can be the perfect choice for your growing family and its offered at this Jeep dealer with the pricing you’re looking for so that you can head out on the roads around Oakland Park, FL. 2017 Jeep Compass Latitude – Here is a small and active SUV that allows you to have the drive you’re looking for and the versatility you need. Take this used Jeep SUV for a test drive today and let the affordable pricing be right for you when you’re ready to head out on the roads and enjoy what Oakland Park, FL has to offer you. 2011 Jeep Wrangler Sport 4WD – If you want the vehicle that’s responsible for the off-road performance that you’ve desired for years, this is the one you want to choose for the ride that makes sense for you. Come in and let this used Jeep be the one you want with the pricing you’ll enjoy when you drive on the trails in Oakland Park, FL. The team at Massey Yardley Chrysler Dodge Jeep Ram Fiat in Plantation, FL can help you have the right pricing for the used vehicle you want to enjoy driving in the Oakland Park, FL area today.